War? War never changes. But in the case of the war for Cybertron, it’s more like it never really goes away. 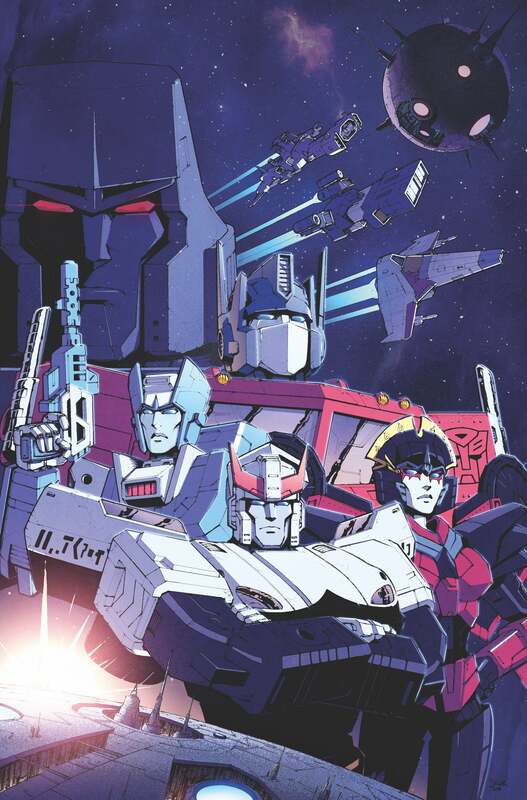 IDW has finally announced the first details of its Transformers series’ continuity-resetting shakeup, after bringing an end to its entire ongoing line of robots-in-disguise books earlier this year, bringing a close years of comics canon. Revealed through The Hollywood Reporter, the new twice-monthly series from Brian Ruckley, Angel Hernandez, and Ron Joseph will simply be titled Transformers, and will take readers all the way back to the age of peace and prosperity shared between the Autobots and the Decepticons on their homeworld of Cybertron. Just as important, it’s an amazing opportunity for new readers to discover and explore one of the biggest universes — and one of the best casts of characters — that science fiction has to offer, and to get in right at the start of a truly epic saga. It’s a tale we’ve seen many times over the years, and it’s going to have a lot to live up to coming off of the back of IDW’s previous excellent Transformers continuity. We’ll have to wait until March next year to see if the new Transformers comic can handle taking on the matrix of leadership itself.